Dr. John A. Ostrowski earned his Doctor of Dental Surgery degree from the Marquette University School of Dentistry in Milwaukee, Wisconsin in 1989. During his second year of dental school, he was awarded the Dr. Tom Laur Award for service above self. 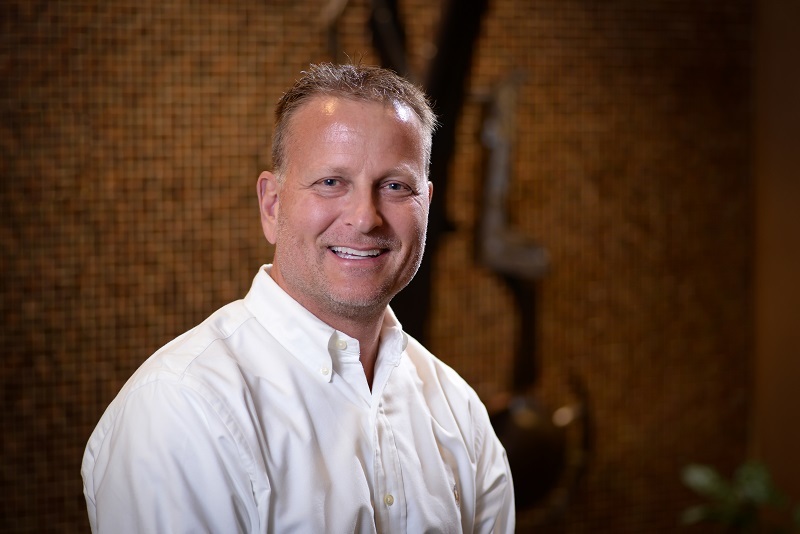 Before attending dental school, Dr. Ostrowski graduated from Nazareth College in 1985 with majors in both Math and Science, and he also studied at Western Michigan University. He is a graduate of the Las Vegas Institute of Cosmetic Dentistry, and he is a member of the American Academy of Cosmetic Dentistry. Dr. Ostrowski owned a private cosmetic practice in Coopersville, Michigan for twenty-two years, and worked in public health for two years as well. Dr. Ostrowski is committed to providing high-quality oral health care and the latest in cosmetic dentistry. His goal as a dentist is to provide dentistry for the quality-conscious! When he is not hard at work improving your smile, Dr. Ostrowski enjoys big game hunting out west, fishing, and coaching and playing hockey. He holds a hockey coaching degree in Advanced Level 5 Masters Coaching. Dr. Ostrowski is married to his wife Leslie and together they have 5 children.